AN UPRISING needs energy. It needs a kick-start. 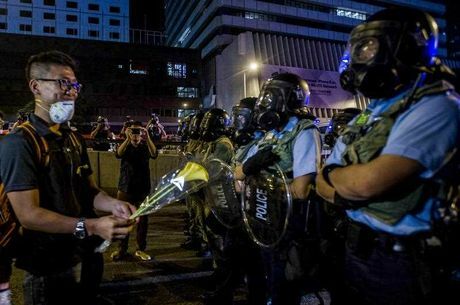 Hong Kong's initial burst of energy came not from within but from outside, when police last Sunday used tear gas to try to break up a demonstration. That spark of brutality ignited the anger which produced the biggest revolt in the ex-colony's history. Then, today, just as the whole thing was starting to flag badly from exhaustion and indirection, came a new burst of negative energy from outside. An organised gang of hundreds of outsiders, most of them much older than the student-age demonstrators, descended on the remaining occupiers of a protest site in the busy and congested shopping district of Mong Kok. They chanted at them to "clear the roads" and "go away", closing in until the protesters were hemmed in around a tent and surrounded on all sides. Police, some joining hands with the occupiers, were forced to form a protective cordon around the 100 or so remaining at the pro-democracy camp, which earlier in the week took over a long swathe of Nathan Road, one of the city's busiest roads. Occasionally individuals broke through the dividing line from the outside, grappling with protesters. Bottles were lobbed at those inside. One protester was led away by police, blood dripping down his face. Protesters alleged that the newcomers had been paid by the government to provoke violence and delegitimise the campaign. There is a track record for this: Triad-associated thugs have in the past been paid by the government to disrupt demonstrations. Mong Kok's protesters said they would refuse to rise to the provocations. They were visibly determined to remain calm and avoid a fight. 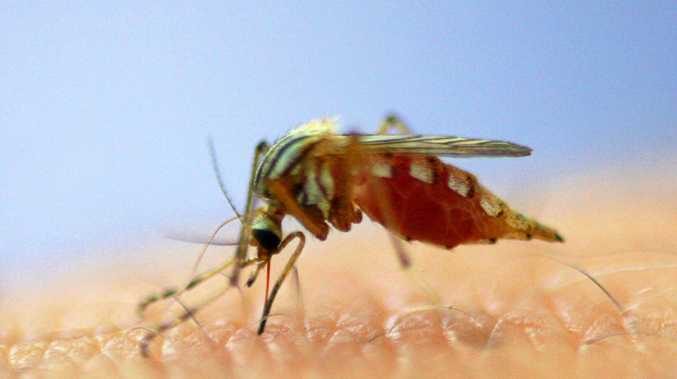 By midnight, their numbers had swelled to thousands. Aaron Lee, a 31-year-old hairstylist among the protesters, said: "If you check that side, they are not speaking Cantonese, they are speaking Mandarin. Guess who is paying them? We are just trying to make a change here. All we want is freedom." 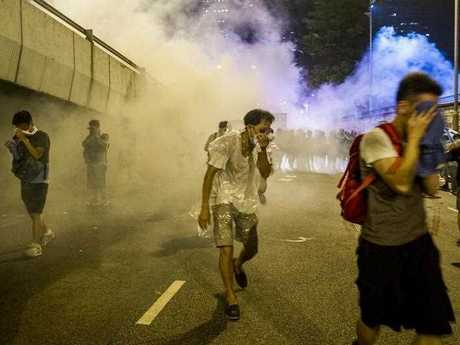 News of the violence flew across Hong Kong harbour as fast as Twitter could carry it, to the remnants of the protesters, visibly tired and fewer in number but still in possession of much of the main road that links the east and west sides of the island. It gave them a new shot of what they had been lacking. 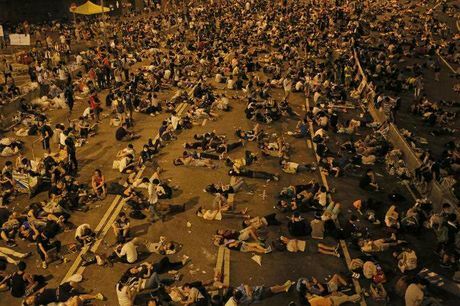 Several thousand came together at Admiralty, where they have been laying siege to the main government buildings of Hong Kong, and sat on the tarmac as leaders of the protest told them what was happening across the water. Enough of them took the cue, rushing over to Mong Kok, barely 20 minutes by subway, to change the dynamic and put the hostile newcomers into a minority. The tense stand-off continued into the night. But it remains to be seen whether the new menace will galvanise the movement sufficiently to give it a new lease of life. Because life is what it was palpably beginning to lose yesterday. There were several reasons for that. Friday was a working day, in contrast to the public holidays on Wednesday and Thursday. Many thousands of the protesters are working people and went back to their day jobs. Those that remained were tired. They have built this movement from nothing, day and night, effectively creating an alternative municipal structure with food and water distribution, first aid provision and rubbish collection. There have been endless public discussion meetings, wall newspapers and art work; people have made and freely distributed delicate umbrella-shaped brooches as well as millions of yellow ribbons and thousands of umbrellas. All this in debilitatingly hot and humid conditions, punctuated by mighty thunderstorms. Understandably, the strain was beginning to tell. To their great credit it emerged not as arguing or indiscipline, let alone looting or random violence, but as a loss of focus. A haziness about what they are all doing out there anyway. The scene yesterday outside the offices of chief executive Leung Chun-ying, near the parliament and other government buildings, was a case in point. This has been a major flashpoint of the protests for days now, as the protesters reinforced their demand that Mr Leung quit by blocking the road to his complex. Police and demonstrators have been eyeballing each other here since the beginning of the week. On Thursday night, minutes before the midnight deadline, Mr Leung announced that he was instructing his chief civil servant, Ms Carrie Lam, to start negotiations with the protesters, as early as this weekend. However, neither Mr Leung nor Ms Lam gave a clear time frame for the talks, let alone any clue as to their substance. It was a unilateral bid to puncture the tension and as such it temporarily succeeded. In the same statement Leung refused to do the protesters' bidding and resign. But his vague, tactical concession threw them off balance. Yesterday morning the crowd outside his offices was raucous but smaller, arguing with the police when they attempted to have an ambulance brought into the premises - it was grudgingly allowed in - and arguing again when the driver of a suspicious van attempting to enter - maybe full of tear gas canisters? - refused to divulge its contents and was turned away. In the evening the crowd had further shrunk in size to fewer than 100 people, many of them onlookers or journalists rather than participants. "We are so few, we're afraid the police could easily clear the road if they decided to," said Lau Chun-hong, 23, a male student of nursing who had manned a first aid tent during last Sunday's demonstration. "What can we do?" asked Albert Yang, 55, working in property management. "There are 80 million people in the Chinese Communist Party. The total population of Hong Kong is only seven million. They are too strong. And we are alone. Who is supporting us? Nobody. If the police attack us, I will leave. I will not sacrifice myself." Anger and indignation provide a kick of energy. But they do not substitute for direction and co-ordination. Hong Kong's protests have massively outgrown the modest plans of Occupy Central drawn up by its professorial leadership. They have set a new high, not only in sheer numbers, but by creating a living demonstration of Mutual Aid, the theory devised by the 19th century Russian anarchist, Peter Kropotkin. But like other anarchist manifestations, they flounder when it comes to strategy and leadership. Late last night, Martin Lee, 76, the veteran activist known as the father of Hong Kong's democracy movement, told the crowd at Admiralty: "It was very ugly in Mong Kok. Because of the presence of the international press, the police won't use tear gas again... [instead] they use these Triad society members to create a scene and threaten the people. We are peace-loving and we are getting injured."